Originally published under the title "No One-Shot Solution to the Hamas Challenge." Hamas is deeply rooted in Palestinian society. A senior Defense Ministry source in Israel said recently that a confrontation with Hamas is inevitable, and the Israel Defense Forces (IDF) must be prepared for it. The source added, significantly, that "the next round must be the last one for the Hamas government." Such a statement reveals a deep misunderstanding of both Israel's opponent and Israel's predicament. Hamas is indeed an implacable enemy of Israel. Its ideological commitment to the destruction of the Jewish state is enshrined in its covenant and is propagated in all Hamas-sponsored educational organs. Hamas has acted on its hatred by organizing numerous suicide bomber attacks, by digging tunnels to facilitate the perpetration of terrorist attacks, and by launching thousands of rockets toward Israel's towns and cities. It deserves to be the target of Israeli military action. However, it is a mistake to believe that it is possible to root Hamas out of Gaza and destroy its capabilities once and for all. There is no one-shot solution to the Hamas military/terrorist challenge. Despite assertions to the contrary by the Israeli right, the end of Hamas rule is not an easily attainable military objective. The roots of Hamas are deep in Palestinian society, particularly in Gaza. Polls consistently show that 35 percent of Palestinians look with favor upon Hamas; and in Gaza, the level of support is always higher. A recent poll indicates that if new presidential elections were to be held right now in the West Bank and Gaza, Hamas's candidate Ismail Haniyeh would do better than Mahmoud Abbas. It is not possible to root Hamas out of Gaza or destroy its capabilities once and for all in one shot. Hamas simply cannot be eradicated by outsiders conquering Gaza and then politically reengineering Palestinian society. One cannot import a leadership of choice. Even if Hamas rule could be terminated, its civilian infrastructure would continue to exist. The calls from the Israeli left for a "political solution" are similarly unrealistic. Hamas, Islamic Jihad and the Salafist groups see Israel as a theological aberration. They might reluctantly accept temporary cease-fires, but they continue to categorically reject any diplomatic course of action intended to fully solve the Israeli-Palestinian conflict. 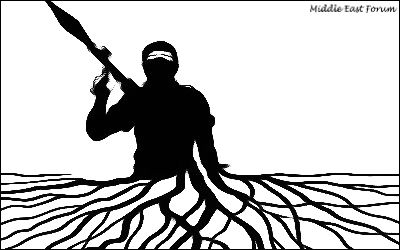 The fanatical commitment of these militias to a radical ideology and to a patient strategy of violent resistance (muqawama) means the conflict will continue for some time. Israel must be realistic about what can be achieved by military means. Force should be applied not to attain impossible political goals, but in the service of a long-term strategy of attrition designed to debilitate enemy capabilities and exact a cost with the object of enhancing temporary deterrence. Force should be applied in the service of a long-term strategy to debilitate enemy capabilities. A pounding from the air and an Israeli ground advance, for example, can demolish part of the Hamas military infrastructure and kill Hamas fighters. A ground offensive can create unrest within the Hamas organization, causing its military leadership to make mistakes that could result in better intelligence and more successful targeted airstrikes. The destruction of the terror tunnels – which are themselves an exaggerated threat – is also an attainable military goal. Moreover, occasional large-scale operations have a temporary deterrent effect that creates periods of quiet along Israel's borders. As the rounds of violence with Hamas continue and the prospects for a peaceful resolution grow ever more remote, an understandable frustration arises at the lack of a clear military endgame. But military force can be useful in limited wars, even without a conflict-ending objective. Hamas needs to be punished for its aggression and reminded of the cost it must pay for continuing its violence against Israel. And on a practical level, a period of calm can be achieved by destroying capabilities that are both difficult and expensive to rebuild. Buying time is a legitimate military goal. The greater goal is the establishment of a reality in which Israeli residents can go about their lives without the continuing threat of indiscriminate terror, and in which a significant blow has been struck to Hamas's terror infrastructure. So far, the Israeli government has wisely adopted these limited political and military goals, a strategy dubbed "mowing the grass." This strategy has a positive effect both within and beyond the borders of the conflict. Other actors in the Middle East are watching, and they too need vivid reminders that aggression against Israel can be costly. In this tough neighborhood, inaction is perceived as weakness, harming deterrence and inviting aggression. In the last round of the conflict with Hamas, Israel showed its neighbors that Israel's missile defense can parry missile threats while maintaining relative normalcy on the home front. Israel also signaled its determination to fight back through its readiness to engage in ground operations despite the potential for casualties. There is no end in sight to the struggle against Hamas, but Israel can still achieve significant periods of quiet. The question "When will this end?" is inherently flawed. There is, unfortunately, no end in sight. As long as the basic motivations of Hamas remain, the violent struggle will continue. But this does not mean that significant periods of quiet cannot be achieved by military action. Israeli strategic thinking is substantively different from current Western strategic thinking on the question of how to deal with non-state military challenges. Westerners are more solution-oriented, which partially explains why so many of them misunderstand Israel's approach. Against an implacable, well-entrenched, non-state foe like Hamas, Israel has to "mow the grass" once in a while to degrade enemy capabilities. Israel will probably be engaged in a war of attrition against Hamas for a long time. Keeping the enemy off balance and reducing its capabilities will require Israeli military readiness and a willingness to use force intermittently, while maintaining a healthy and resilient Israeli home front despite the protracted conflict.